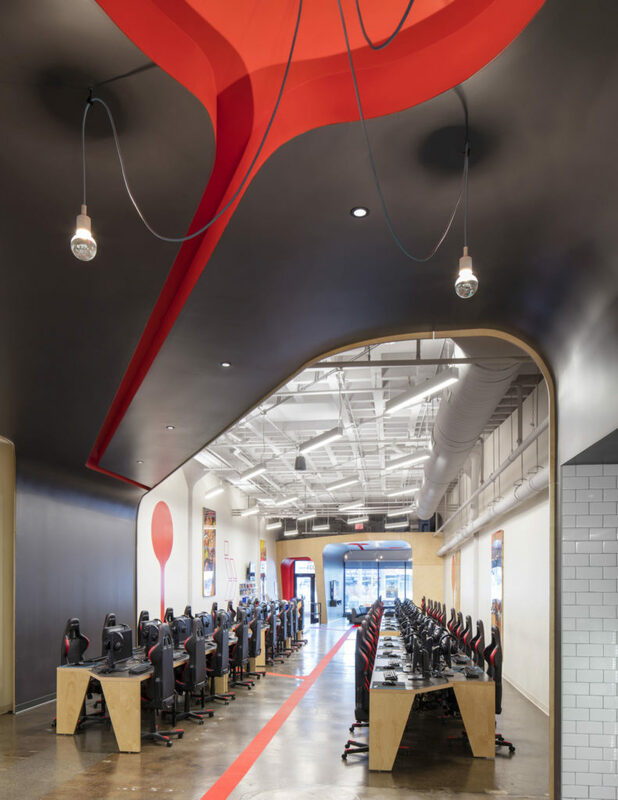 A 6,500 sf high end build-out for a video gaming café in Allston. 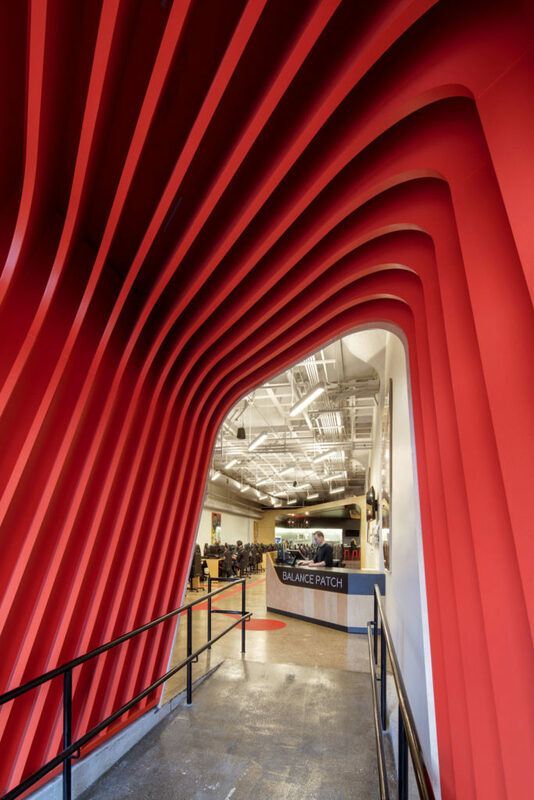 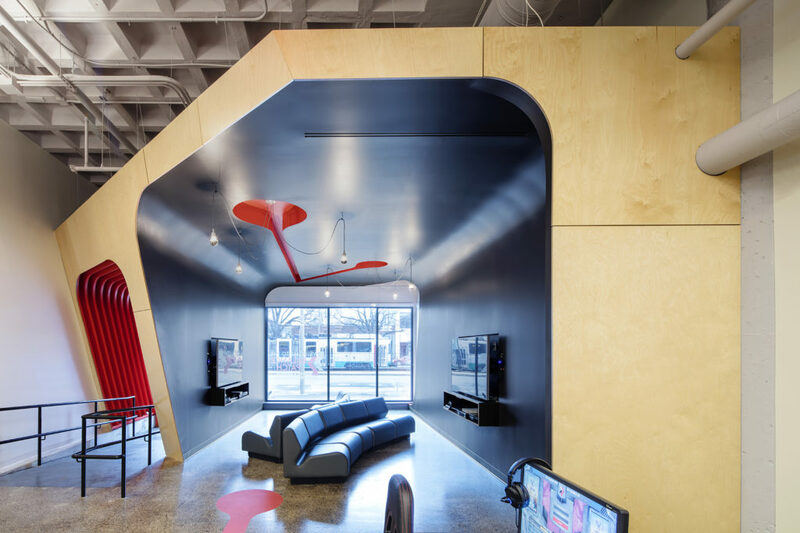 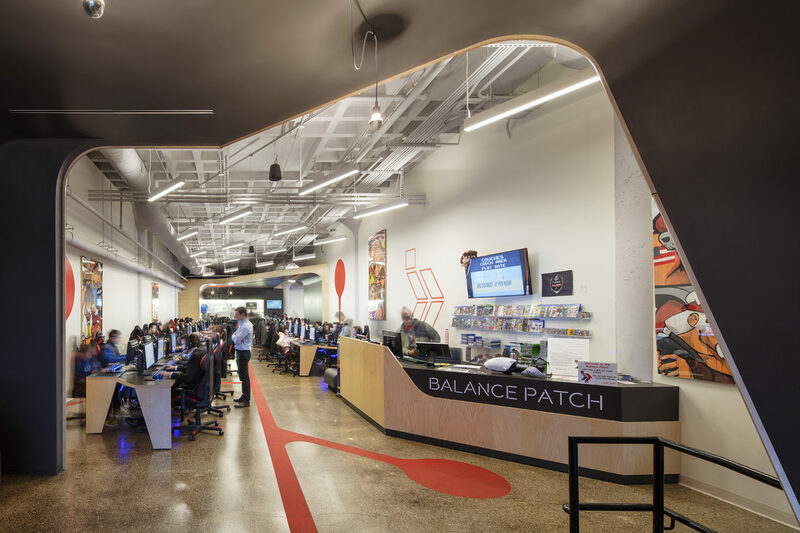 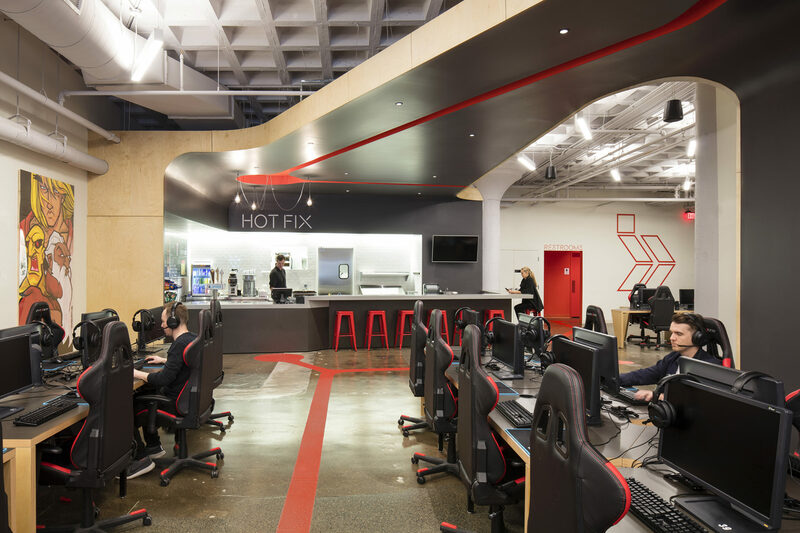 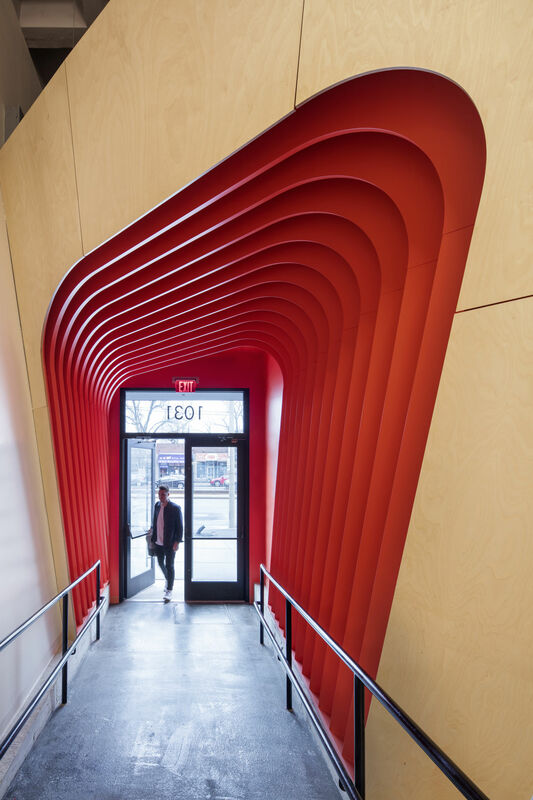 With curvilinear millwork and radius ceilings this project transformed a neglected storefront into an inviting social space for gamers. 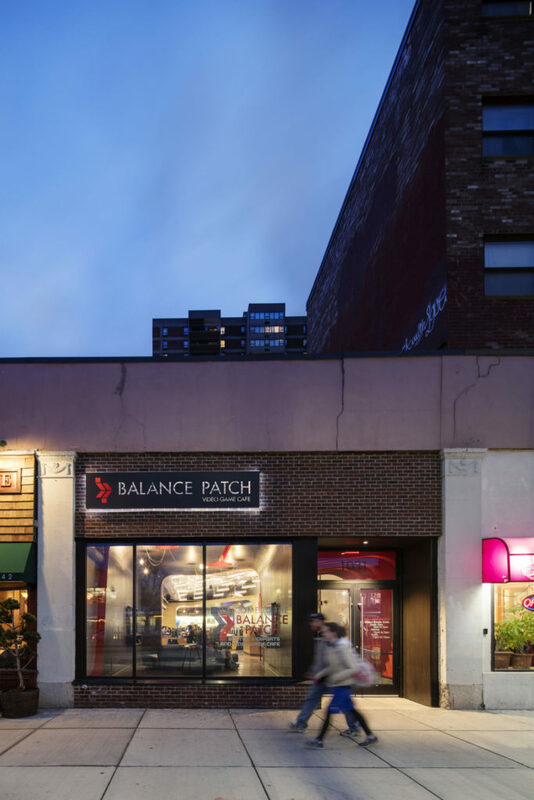 Nonexistent life safety systems and a disorganized electrical system in this long vacant space required close coordination with city officials and neighboring store owners.